The following is a performance-capsule review of the 2010 BMW M5. It is based on our analysis of 48 published reviews and test drives. The 2010 BMW M5 flies like a bat out of hell. Test drivers, however, report that its handling dynamics make it more suitable for the track circuit than city streets. According to Left Lane News, "The BMW M5 sedan is the hot ticket for the enthusiast driver who needs a four-door sedan but wants performance on the far side of legal speeds, is comfortable with cutting-edge technology, and doesn't mind low fuel efficiency." The 2010 BMW M5 is a performance-tuned variant of the 2010 BMW 5-Series -- which is praised for its excellent handling and power delivery, as well as its luxurious cabin and long list of convenience features. Upping the ante with a 500-horsepower V10 engine and enhanced performance engineering, the 2010 BMW M5 adds a heckuva lot more power to the mix. "If you're into German ultra-performance in an otherwise practical sedan, and BMW is your brand, then this is your ride," writes Kelley Blue Book. "It's exclusive, expensive and seriously fast, and with more high-technology features than just about anything else on the road." 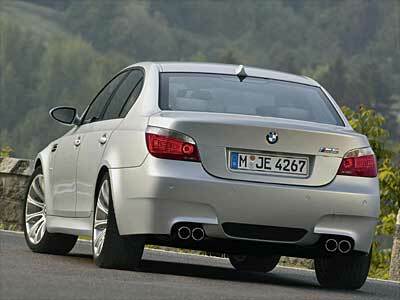 Still, the 2010 BMW M5's performance dynamics aren't universally praised. Many test drivers complain that it lacks typical BMW steering and transmission feel. Others add that it performs better on the track than road. Because road feel is a trait that's open to interpretation, interested shoppers should take the 2010 BMW M5 on a few lengthy test drives before signing on the dotted line. This year's BMW M5 is a carryover from the 2009 model year. 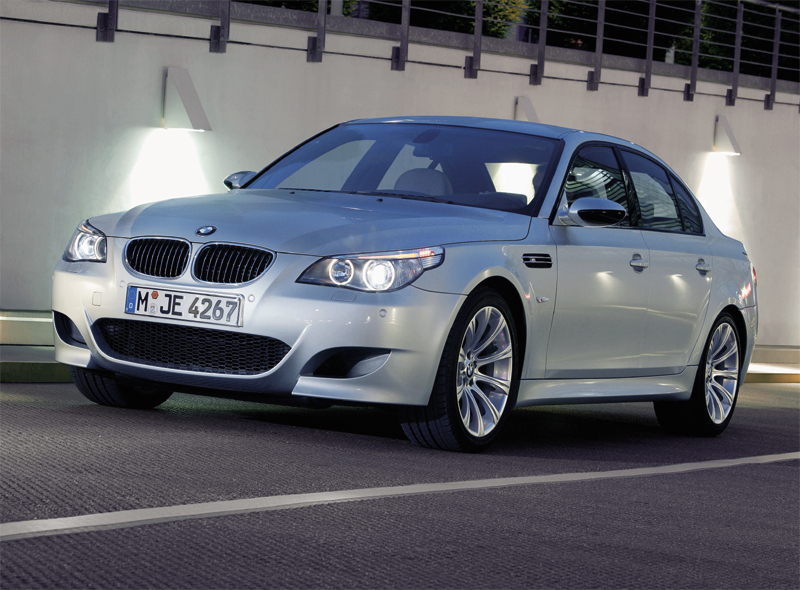 For 2010, the BMW M5 receives a revised version of BMW's iDrive multi-media system -- which should make it easier to use. The 2010 BMW M5 is only available in one trim and body style, a sport sedan.